Medina County Federal Credit Union has announced two winners in its 2018 Scholarship Program. Colin Wright, of Wadsworth, and McKenzie Erne, of Valley City, will each receive $1,000 to help them continue their education. The national slogan for credit unions is People Helping People. Scholarship applicants wrote essays explaining what they have done to help people in their lives. Pete Grimm, the CEO of the credit union, said the winners are representatives of the many local students who volunteer to help improve our community. Medina County Federal Credit Union awarded its $1,000 Bernard R. Spechalske Scholarship to Colin Wright of Wadsworth. Colin, a student at Wadsworth High School, is the son of Roger and Sharon Wright. MedFed's Board of Directors established The Bernard R. Spechalske Scholarship in 1994 in honor of Bernard Spechalske's service to Medina County Federal Credit Union. Bernard served as a board member and president of of the Board of Directors. This year's winner is a four-year cross country runner, a member of the Wadsworth High School Student Council and a writer on the school newspaper. 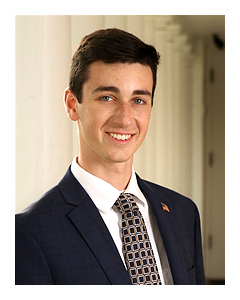 Colin is a member of the National Honor Society, the National Technical Honor Society, and HUDDLE, an organization that works with elementary school students. He is completing his senior year with a cumulative GPA above 4.0 and will attend The Ohio State University. Colin has volunteered in the Intergenerational Technology Program at the Soprema Senior Center for the last five years. He also is active with his church where he serves as the co-president of its youth group and works with the church’s technology department. He has received many awards, including the WCTV Clapper Award, Interscholastic Athlete Award (all four years) and Board Student of the Month. Colin works at Wadsworth Pediatrics as a janitor. In his essay, Colin drew on his experiences at Soprema Senior Center. “Unfortunately, for many seniors, they are left to their own devices – both literally and figuratively – when it comes to getting their tech troubles worked out,” he wrote. “For seniors in our area, the Intergenerational Technology Program seeks to remedy this by pairing seniors with high school youth. “Oftentimes, I’m teaching someone how to do something they’ve never done before. Trying to teach someone something so foreign can be challenging, but in the end, it is always worth it – for both of us,” he wrote. Medina County Federal Credit Union awarded its $1,000 2018 Memorial Scholarship to McKenzie Erne, of Valley City, Ohio. McKenzie, an occupational therapy student at Keuka College in New York, is the daughter of Gary and Maureen Erne. The MedFed Board of Directors established the Memorial Scholarship in 2000 to honor people who have dedicated years of distinguished volunteer service to the credit union. 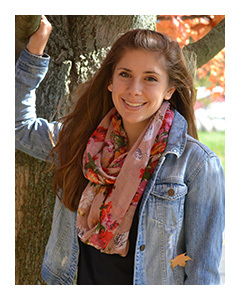 At Keuka College, McKenzie participates in Ultimate Worship Group, the women’s soccer team, and Students Help Students. She is also involved with The Arc of Medina County, the Medina County Detachment #569 Marine Corps League Auxiliary, the Cleveland Whitecaps Soccer Club, and SOZO youth group. McKenzie is a coach for Buckeye U13/14 Boys indoor soccer team, a bowling assistant for individuals with developmental disabilities, a Youth Athletes/Special Olympics volunteer coach, and volunteers at track meets and soccer camps. McKenzie’s goal is to earn her master’s degree in occupational therapy in five years. She plans to work as a pediatric occupational therapist. Her volunteer work and coaching at the Special Olympics program reinforce her interests to be involved with children with disabilities. Medina County Federal Credit Union has been serving Medina County since 1960. Starting out as small school credit union with deposits totaling $50, MedFed has grown to a multi-million dollar, full-service cooperative financial institution serving everyone who lives, works, attends school, or worships in Medina County. It operates branches in Medina, Wadsworth and Brunswick, Ohio, and ranks among the top 25 largest credit unions in Northeast Ohio.